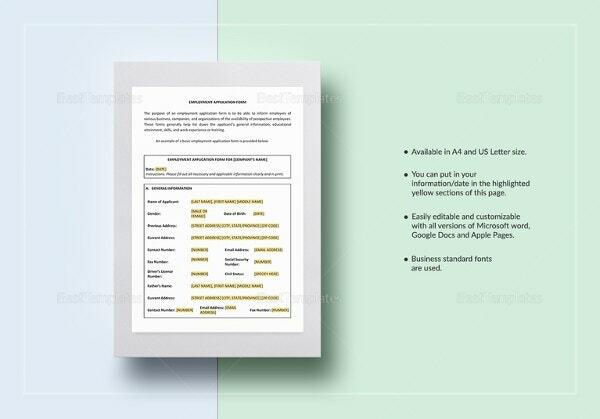 Employment Application Templates – 10+ Free Word, PDF Documents Download! 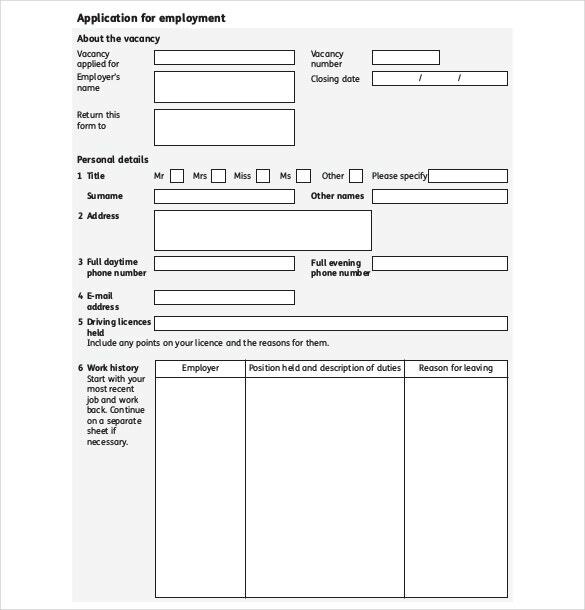 An employment application is as crucial for landing a good job as the CV. 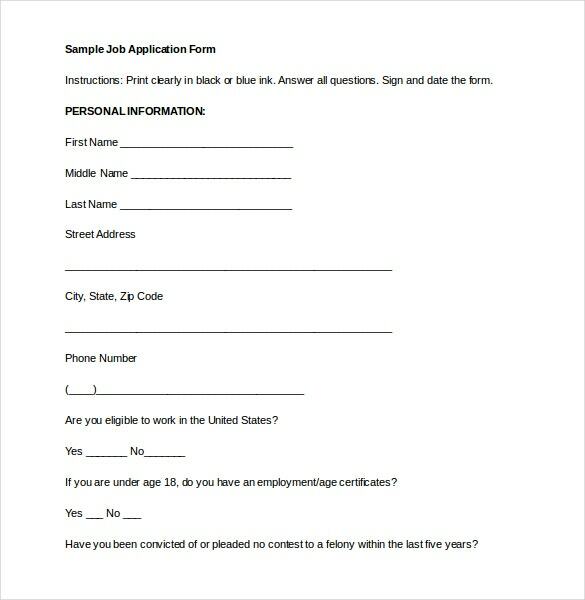 Even then most applicants do not pay the level of attention required to create a good employment application. 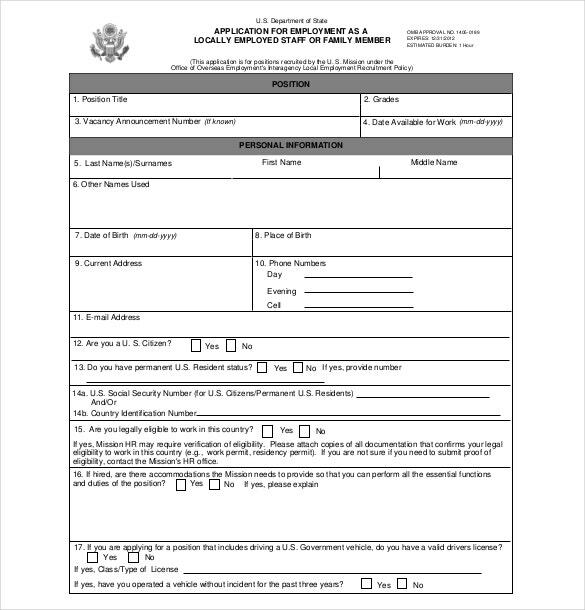 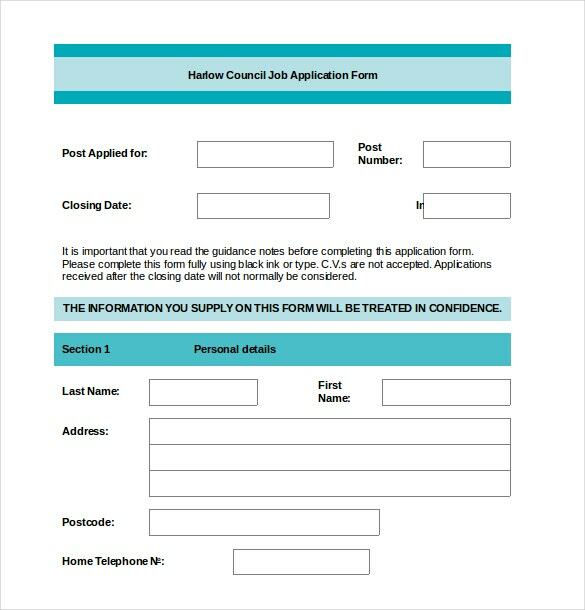 To make it simpler and easier for them to prepare professional and impressive applications, help is available online in the form of employment Job Application Template. 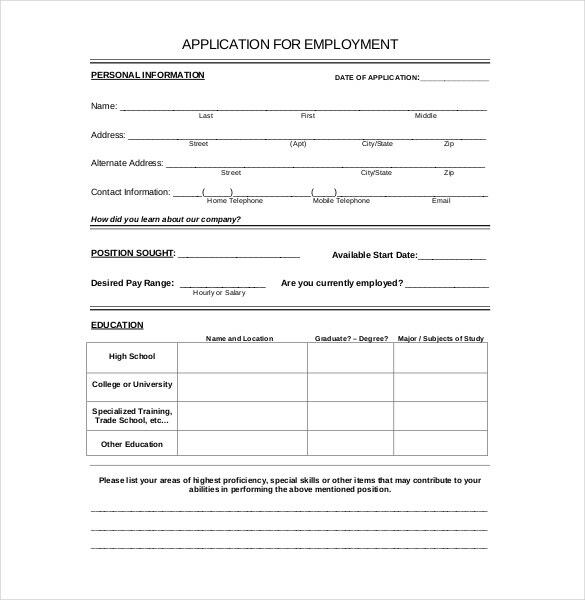 Unawareness about what to include and what not in an employment application is among the major reasons for not getting selected for a job, which can lead to disappointment. 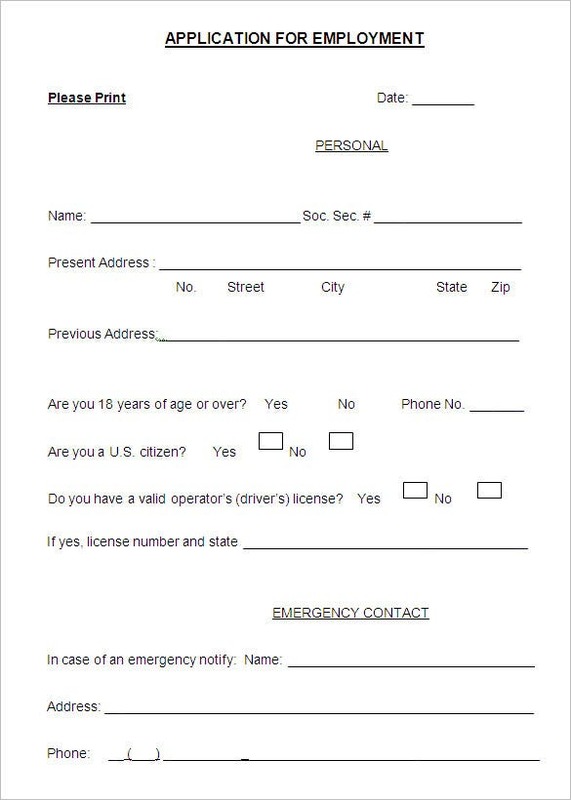 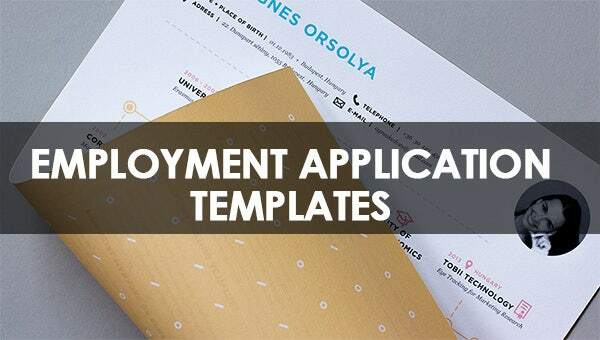 An employment application template could be the first step towards helping you grab the job you always desired. 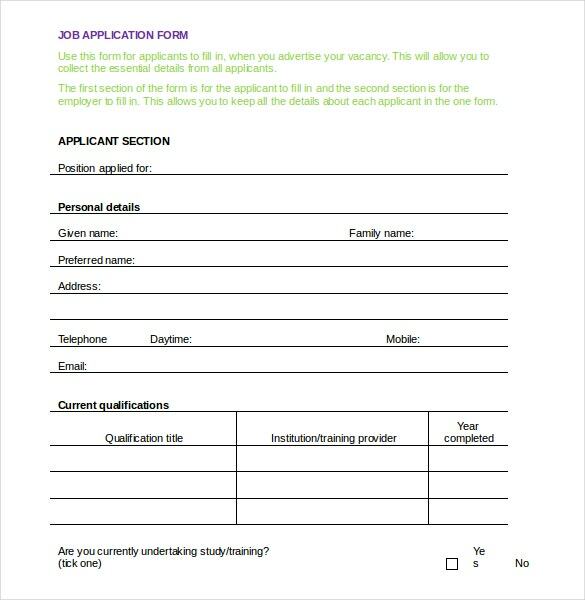 It should be remembered that your employment application is a golden chance to create a lasting impression on your prospective employer by letting him know why you are the most suitable for a particular job. 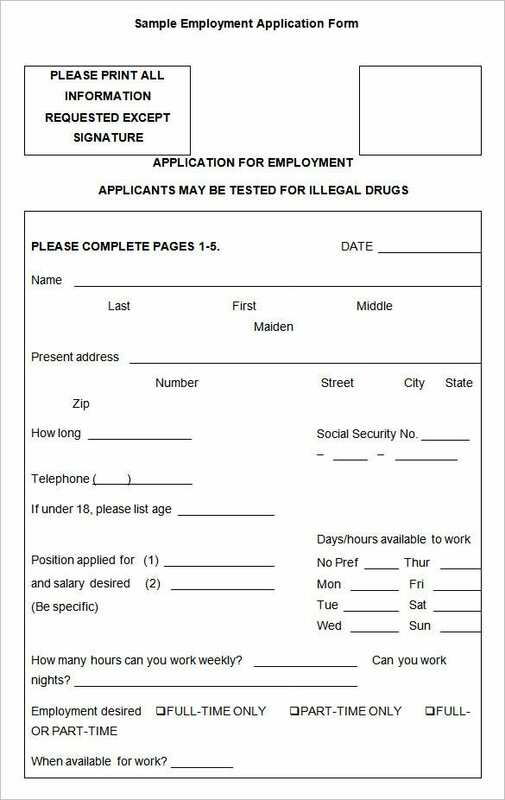 Overlooking this element can not only lead to rejection, but also waste of time, which is the most crucial while searching for a job. 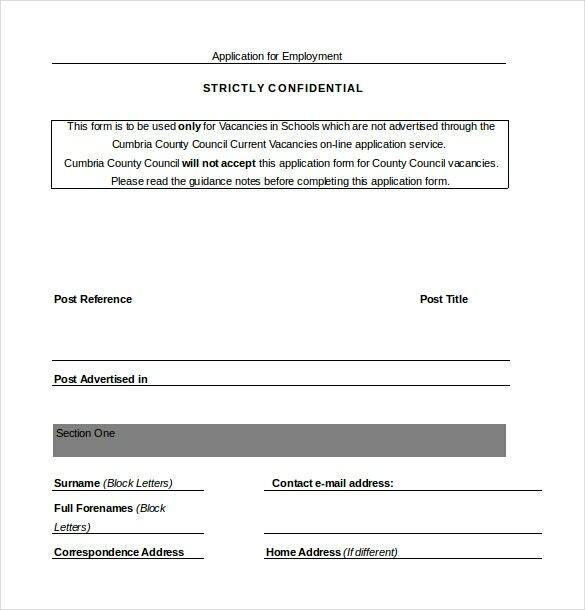 So, make sure to select the most appropriate employment Application Templates to present your qualifications and experience in the best manner possible.